Miami Dolphins owner Stephen Ross said his players “will be standing” during the anthem next season. Ross admitted that his own stance on the protests was directly influenced by the criticism from President Donald Trump. Colin Kaepernick’s lawyers added Ross to the deposition list for his collusion case against the league within hours of the comments . Kaepernick is expected to argue that Trump’s comments coerced the NFL owners into colluding against the quarterback and keeping him out of the league. Depositions for Colin Kaepernick’s collusion case against the NFL and its owners are expected to begin this month and President Donald Trump’s comments – and the NFL owners’ fear of them – is expected to be at the center of the case. During this past season, Trump made the protests by NFL players during the national anthem part of his presidential platform. Now, according to Charles Robinson of Yahoo Sports, Kaepernick is expected to use those comments to show that NFL owners were influenced by the wrath of the president and were coerced into colluding against the quarterback who started the league’s wave of protests. Getty ImagesDolphin owner Stephen Ross was added to the Kaepernick deposition list within hours of his comments. 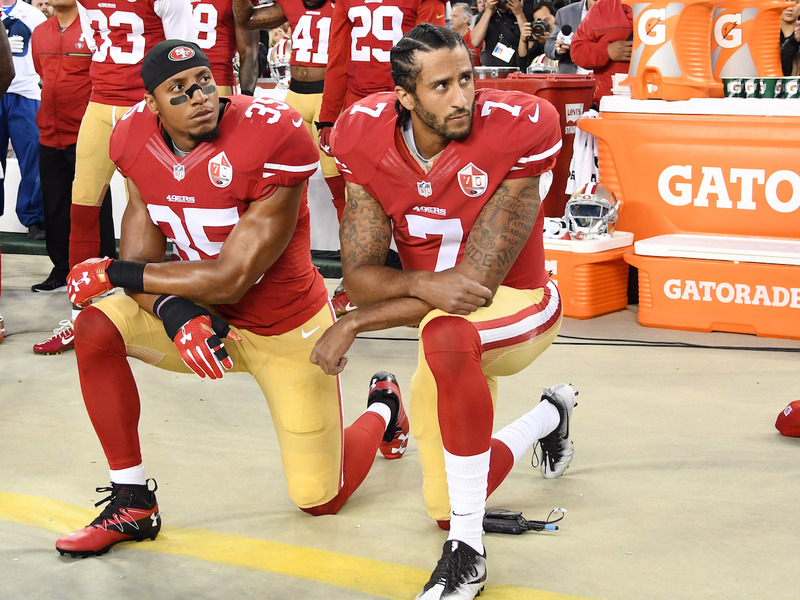 At the center of the issue are several comments made by the President in which he criticised the NFL and its owners, called for protesting players to be fired, and seemingly took credit for the continued unemployment of Kaepernick. 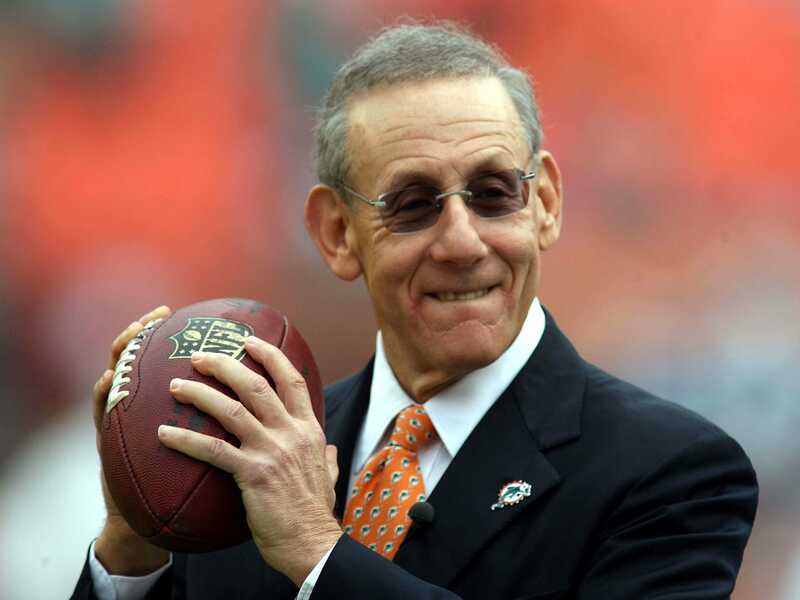 But more importantly, Miami Dolphins owner Stephen Ross admitted to the New York Daily News that Trump’s comments directly influenced his own thinking on player protests and changed his team’s stance on the issue. Ross added that “all of our players will be standing [for the national anthem]” this season, and clarified that his stance changed when Trump specifically made the protests about disrespecting the military and the flag. According to Robinson, within hours of those comments, Ross was added to the deposition list in the Kaepernick case. Thearon W. Henderson/GettyColin Kaepernick is expected to argue that Trump’s comments scared the NFL owners into colluding against him. 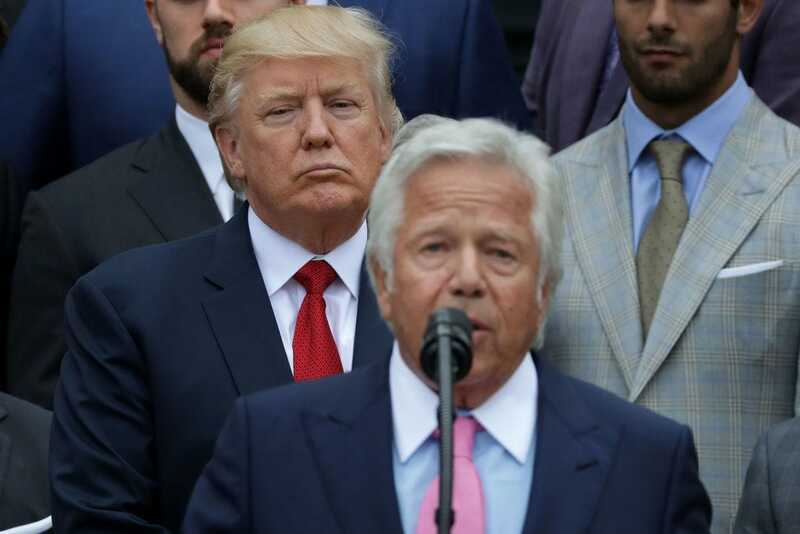 Robinson pointed to several comments made by Trump in the past year that could have influenced the owners and their attitude towards Kaepernick. The most notable came in March, near the beginning of Kaepernick’s free agency. Trump spoke about Kaepernick as the quarterback he was “sure nobody ever heard of” and cited a report that NFL owners might not want to sign him out of fear of getting an angry tweet from Trump. Then, early in the NFL season, Trump said the NFL should fire players who protest during the anthem. Jones never said his stance was influenced by Trump, but Ross did. Now, more than a year since Kaepernick last wore an NFL uniform, he is still not playing and will likely never play again. His case contends that it is not a coincidence.